When it comes to sound control in your recording space it is unfortunately possible to spend a lot of money and time to try to reduce extraneous noises and still not acheive the desired results. This is especially true when you're trying to prevent noises created in your workspace from bleeding into your microphone. Many an audio expert has approached this problem and ended up scratching their head (or tearing their hair out!) when, after a complete sound makeover, the results are less than optimum. As mentioned in my sound control for voice over article the scary sound goblins for a home voice over recording studio are computer noise and room echo. 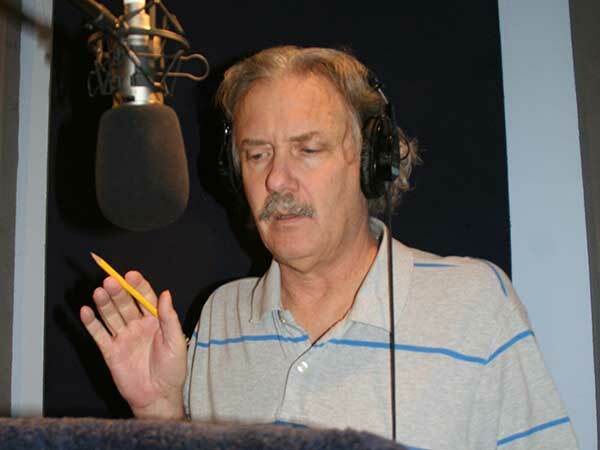 And many a VO talent has tried to exorcise these two sources of background noise. treat the room... or treat the microphone? A while back several enterprising souls turned the problem around backwards. "Maybe we don't have to treat the whole room" they thought, "maybe we just have to treat the area around the mic. 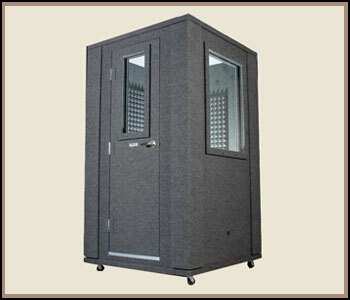 And thus various forms of vocal booths were concieved. You need a space for it. It can get hot unless you have some air circulating. You can't control your computer (unless it's in the booth which defeats the purpose). These are REALLY expensive. And they are not portable. So, while these work well for pro studio applications they don't work for home studios where you're the talent and you're also the engineer. The next step was even more minimal. Why not just "deaden" the area around the mic? There are a couple of popular variations on this theme. One is the Mic Thing. 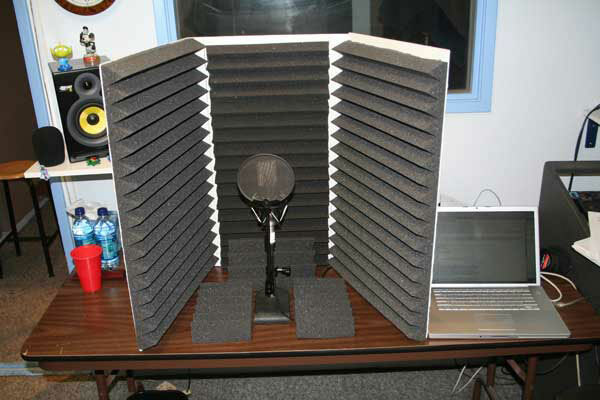 It is a panel with acoustic foam that surrounds the back of the mic to block room ambiance and bleed from other sound sources. I haven't actually used this but I suspect it doesn't provide enough isolation to block the noise from the laptop on your desk or your plaster walls and ceiling. I probably works well in studio environments. It is portable though. But rather pricey. And then there's the Harlan Hogan Porta-Booth. 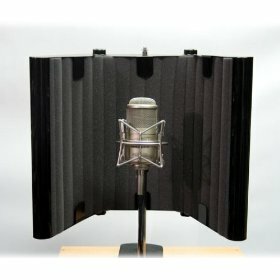 Harlan Hogan is a voice over pro who designed this box for his own use on the road if he had to record in, say, a hotel room and wanted good mic isolation. It works pretty well and provides good isolation. I've tried it and I've found it too small to place a mic in with a regular desk stand and the sound seemed a touch muffled. It's also a bit tricky to position so it's at mouth level. But it collapses and is a very portable vocal booth. So here's my variation on this theme. 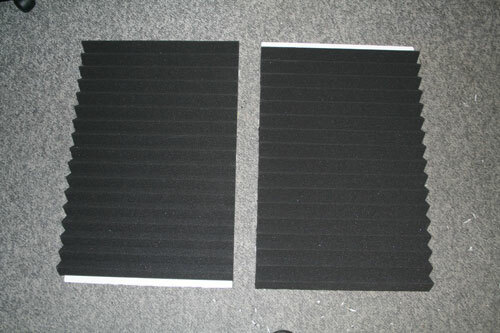 They are acoustic foam baffles that can be hooked together with velcro strips. These are simple to make and can be used to isolate the mic but still provide enough space to comfortably work with the mic at mouth level when you're seated at a desk or table. They also stack together for storage or transportation so they are reasonablly portable. They work in two ways. 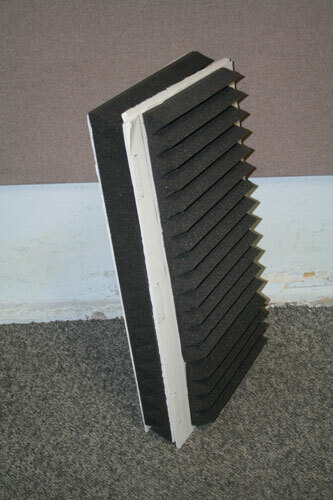 The acoustic foam absorbs much of the energy from your voice so it doesn't bounce around the room. And then the panels block any returning sound from room echo or your computer from reaching the mic. I've found that they work fine in any typical room with plaster walls and reasonable amounts of furniture, carpet, drapes, etc. 4- 2 by 4 foot by 2" sheets of ACOUSTIC FOAM (I like Auralex 2" studiofoam wedge) You can possibly buy this by the sheet from most big music stores. If you can't get it by the individual sheets then get Auralex Studio Wedgies These come in a sample kit of 24, 1 by 1 foot by 2" panels for around $100. DON'T USE AN OLD MATRESS PAD! It doesn't have the same density and it won't work. 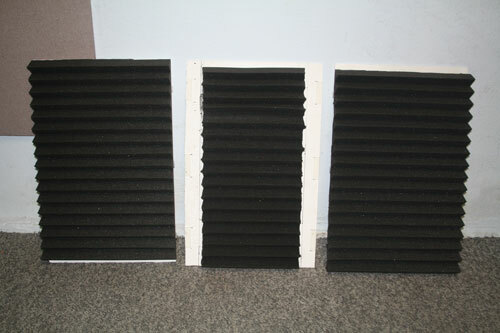 Use acoustic foam! 3M SUPER 77™ Adhesive. 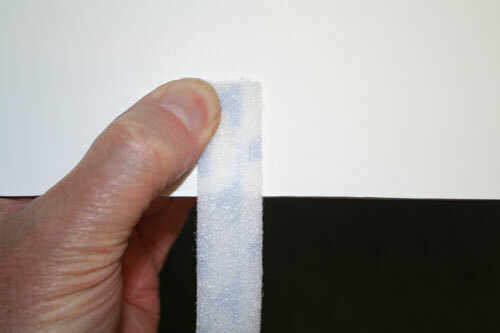 This is a VERY sticky spray adhesive for attaching the acoustic foam to the panels. First, cut the velcro into three inch strips. 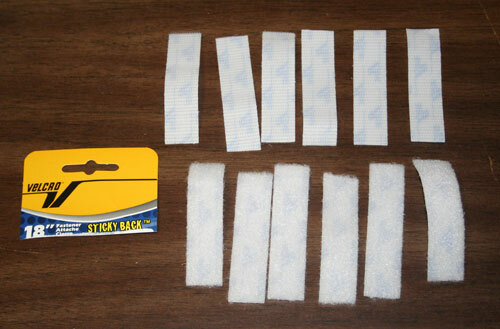 Then the velcro "hook" strips are attached in SIX places to the BACK panel. You can see the marks on the back panel photo. 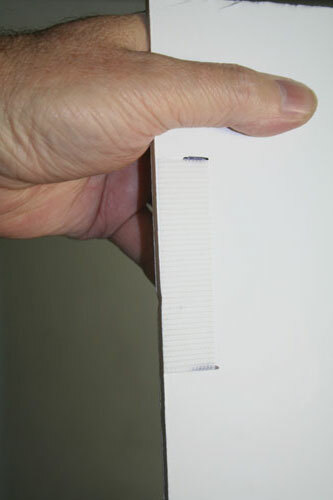 The velcro "loops" strips are attached to the SIDE panels. Perpendicular to the edge of the panel. Three on one panel and three on the other. The framework is done! 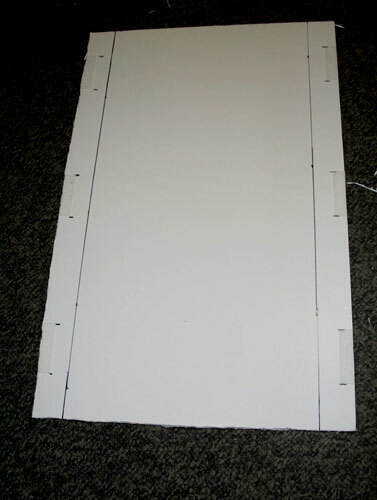 Here are the foam core panels being held together with the velcro strips. 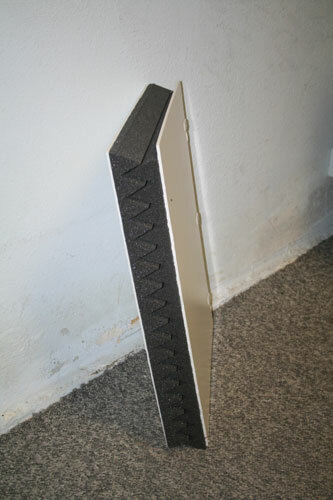 Now glue the acoustic foam to each of the side panels with the 3M Super 77 adhesive. The acoustic foam should be cut so it's the size of the panel. 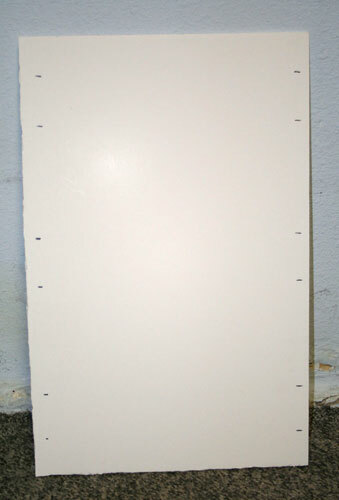 Spray the PANEL with adhesive and then position the acoustic foam. Put down newspapers and watch out for overspray. 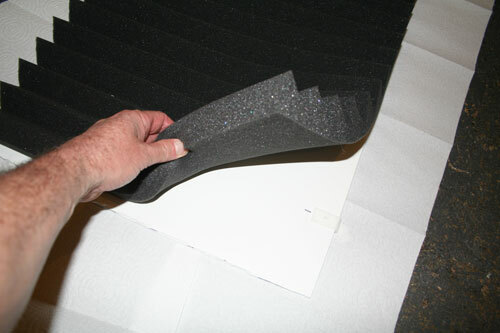 Be VERY CAREFUL to align the acoustic foam correctly because it is very difficult to reposition once it's attached. Don't spray the hairs on your arm or you'll hate me for weeks. Here are the two side panels glued and ready to go. 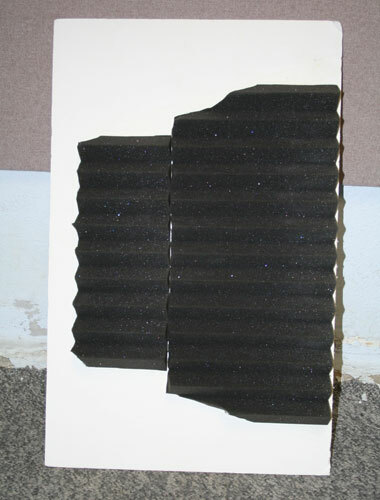 The acoustic foam for the BACK panel needs to be narrower than the actual panel. The lines are drawn 2 1/2 inches in from the sides. So the acoustic foam will be 5 inches narrower. You can also see the positioning of the velcro strips in this photo. Here's the back panel with the acoustic foam cut to size but not yet glued. 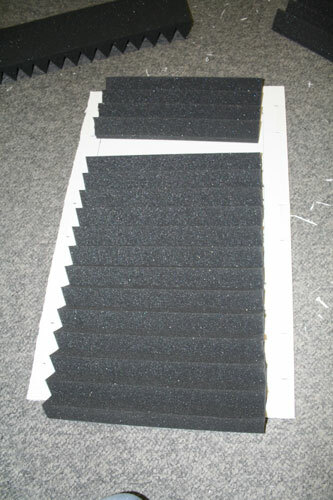 Make sure you glue the acoustic foam on the side with the velcro strips (duh). And they stack for easy storage or portability. I made mine the size of a suitcase so I could take them on trips. 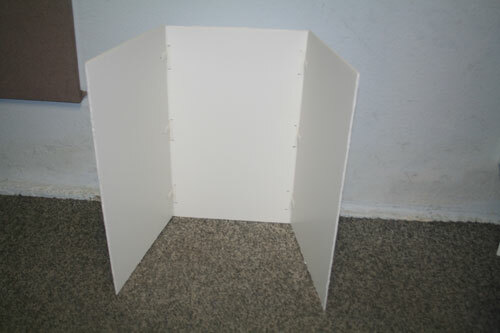 I later made a top for the booth in a similar way because I noticed echo coming from hard ceilings. So here's the same booth with the lid. Nice and cozy! 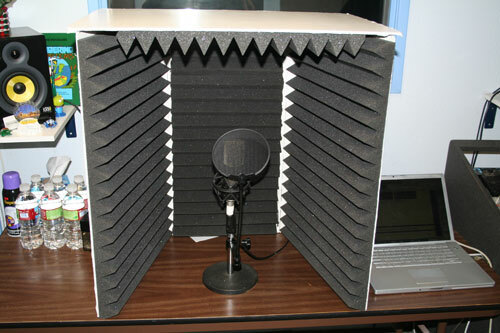 This diy vocal booth costs about $130 and takes a few hours to construct. And it does a great job in eliminating various sounds that try to sneak into your recording. So if you're hearing those undesired background sounds, roll up your sleeves and slap one of these together. You'll be pleased with the results. 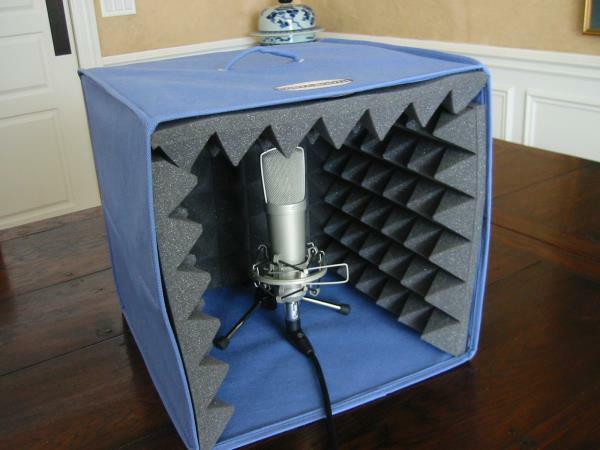 ... read my blog articles on how to position your home recording workspace and using moving blankets to deaden your recording space. These will help you get that quiet recording that clients want to hear.